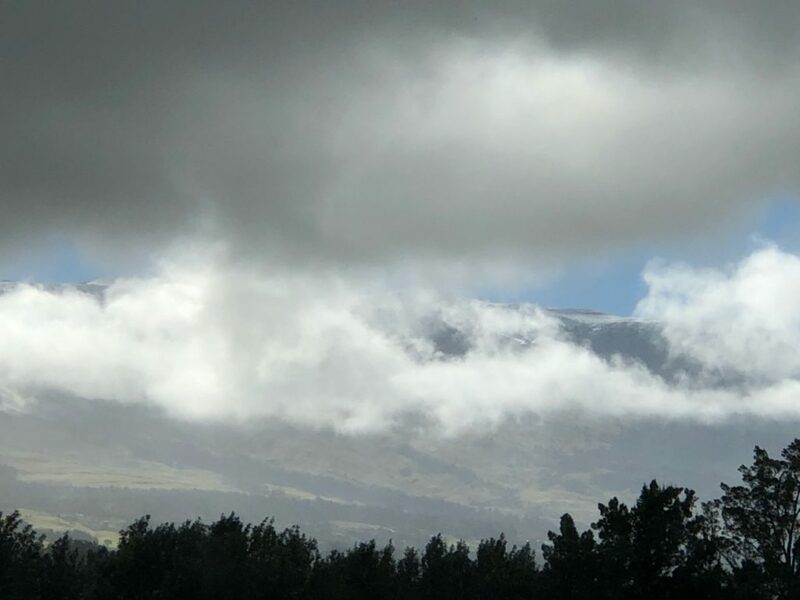 The public is advised that Haleakalā National Park is closed until further notice due to the extreme weather conditions at the summit. 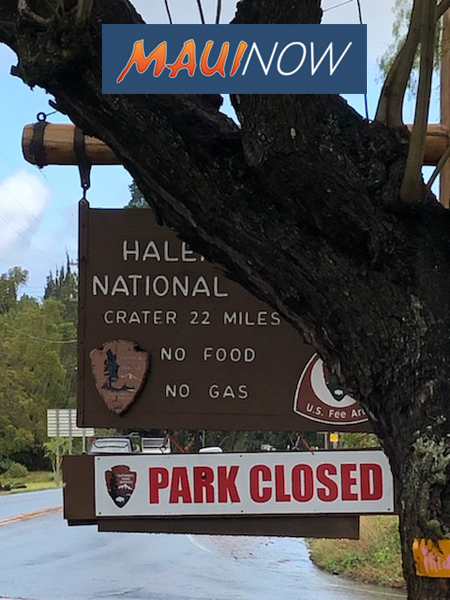 All access roads starting at Crater Road at about mile-marker 10 to the summit are closed off and Park Rangers are turning vehicles and people around. Park rangers say it is dangerous as roads are icy and visibility is low and there is no place to safely turn around. There is no power to the park as well. 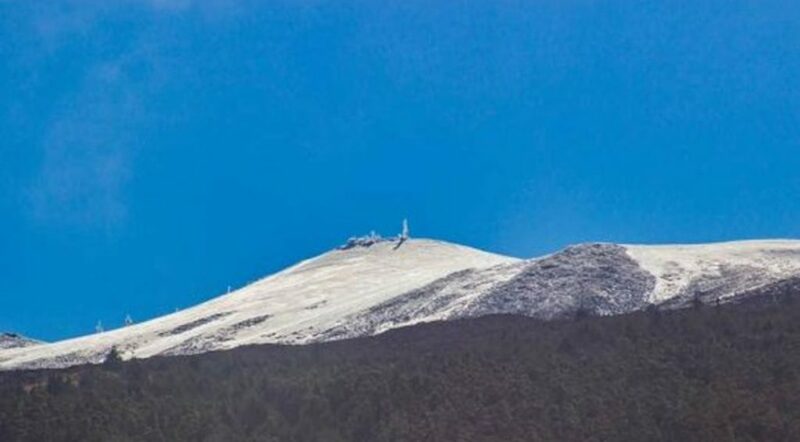 “For the safety of the public as well as the park rangers, please do not attempt to drive up to the summit,” authorities said. 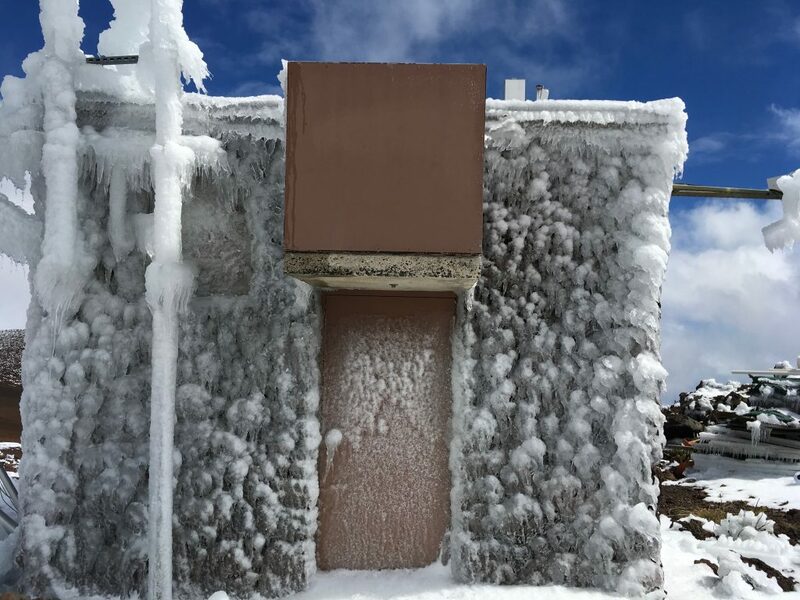 The Summit District of Haleakalā National Park remains closed as of 4:20 p.m. on Monday, Feb. 11, 2019 due to extreme winter conditions. 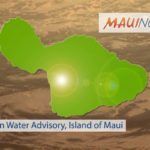 Snow and ice on the road, as well as fallen trees and rocks are leading to extremely hazardous conditions, according to park officials. There are also numerous power outages throughout the Summit District. 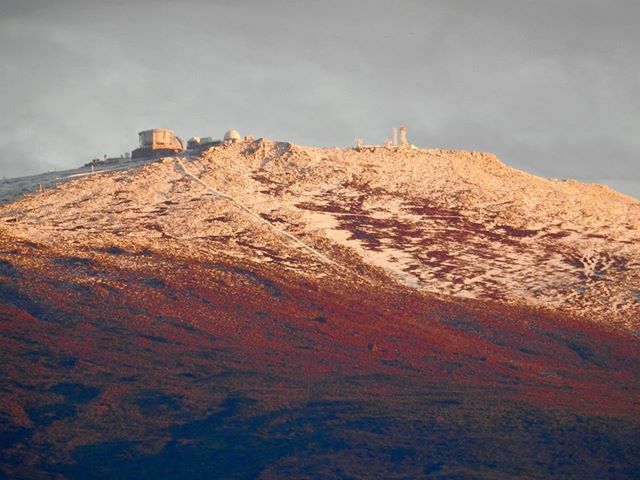 “We encourage everyone to enjoy the view from downcountry and not to try to enter the park,” said Superintendent Natalie Gates. Rangers will continue to enforce the park closure at the Summit District entrance (6500 ft elevation) to protect visitor safety. 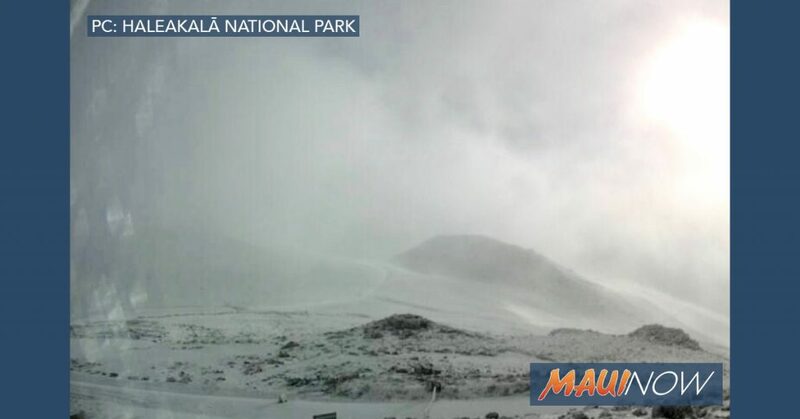 Haleakalā National Park remains closed as of noon today. 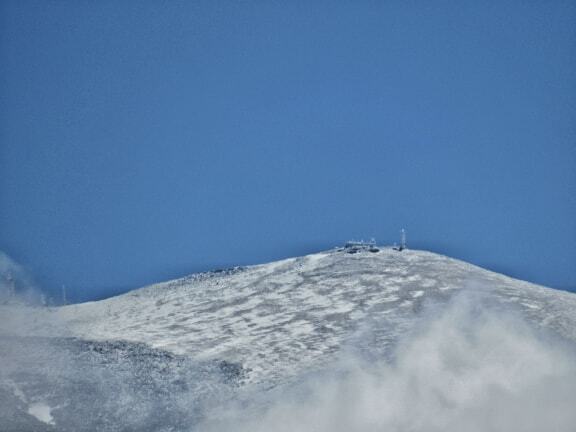 The summit is impassable due to snow drifts on the road. The exact amount of snow is unknown at this time. 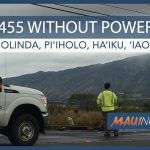 There is no power in the Summit District. There were several downed trees yesterday blocking the road and this morning another one down. 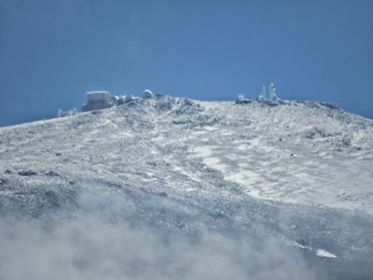 All trees have been removed, according to Nancy Stimson with Haleakalā National Park. 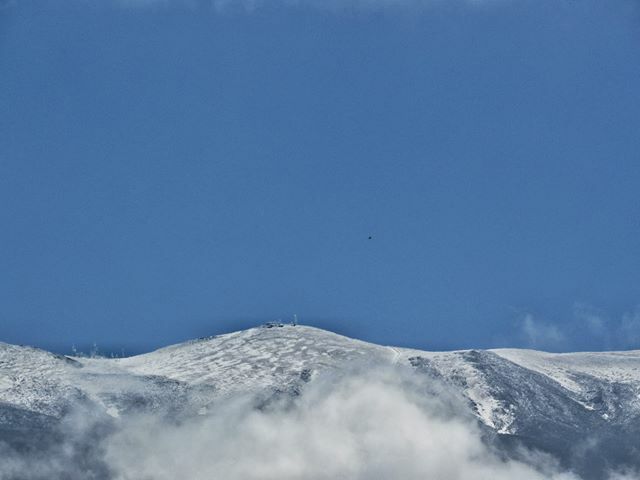 A winter weather advisory remains in effect for the summit of Haleakalā until noon today. 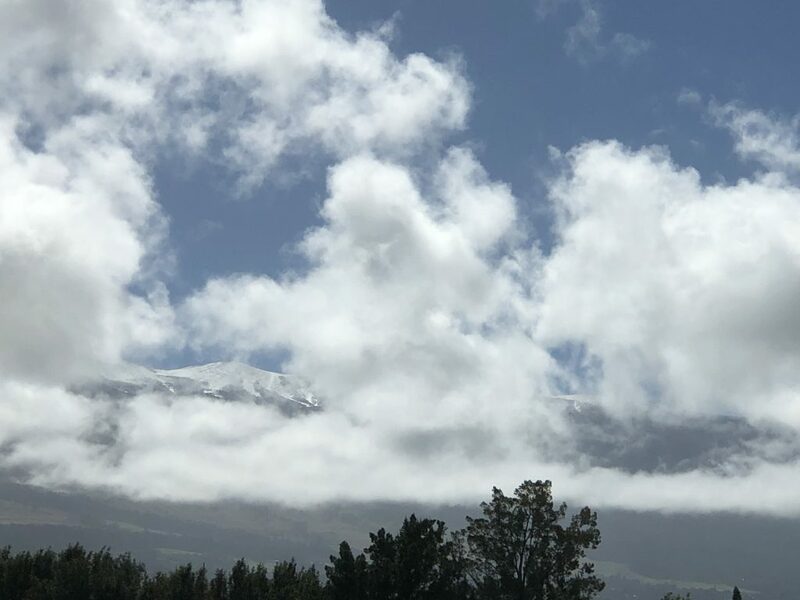 The National Weather Services says occasional snow showers and freezing fog will continue into the morning hours above the 8,000 foot elevation. The public is advised of slippery road conditions along with blowing and drifting snow. Additional snow accumulation of less than 1 inch is expected, according to the NWS. There was a tree down on Crater Road near Mile 10, blocking vehicle access. 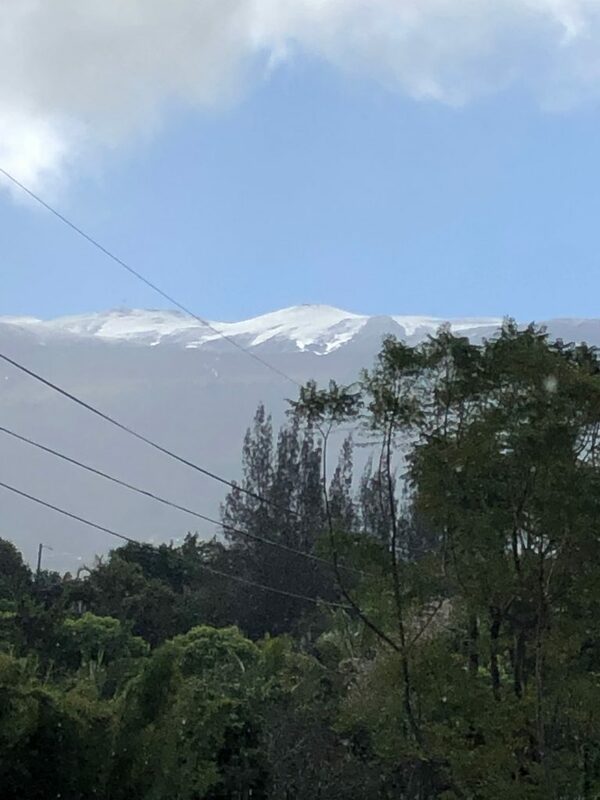 Nancy Stimson with Haleakalā National Park tells Maui Now that as of 8 a.m., there’s no electricity at the summit and the park is closed until further notice. 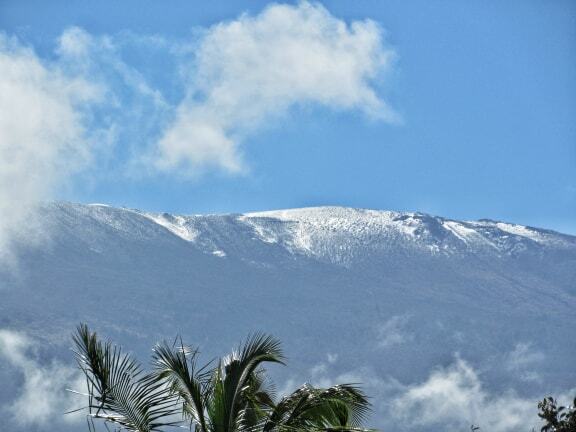 The snow atop Haleakalā on Maui may have set a new record. 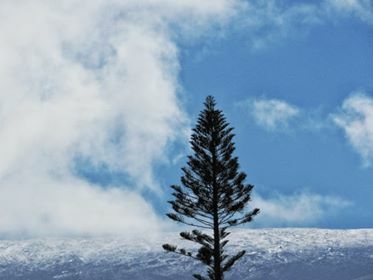 Officials with the state Department of Land and Natural Resources say that for perhaps the first time on record, snow had fallen within a Hawai’i State Park. 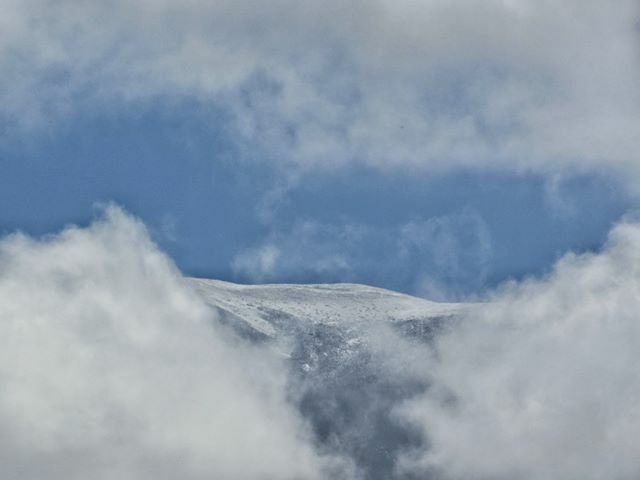 Polipoli Spring State Recreation Area on Maui was blanketed in snow on Sunday. 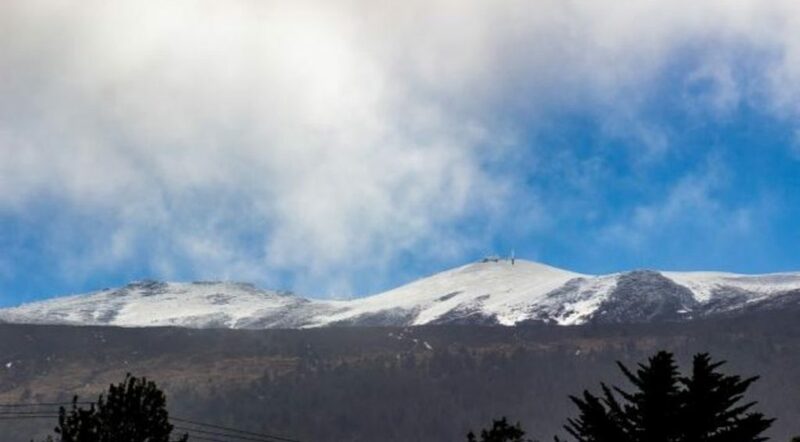 Officials with the Division of State Parks say that at 6,200 feet, it could be the lowest elevation for snow ever recorded in the state. A strong area of low pressure associated with this weekend’s winter storm, will lift northeastward and away from the state over the next couple of days, according to the National Weather Service. 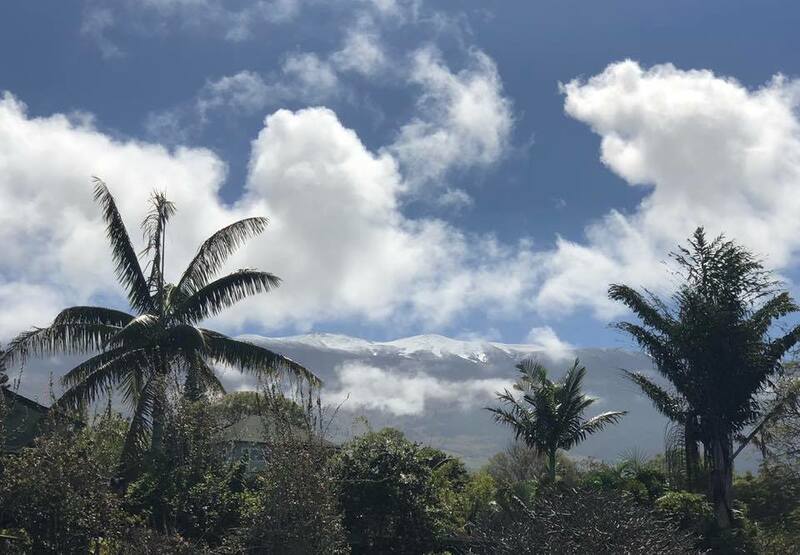 “Despite the departure of the storm, bands of moisture will continue to move through the area, bringing showers into windward areas.” NWS forecasters say a “deeper band of moisture” is expected to move through late Tuesday through Wednesday. 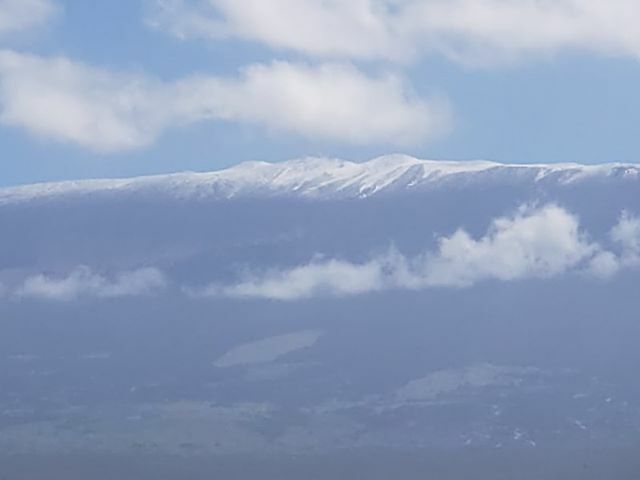 Snow capped Haleakalā. PC: Malika Dudley 2.11.19, 11:30 a.m.